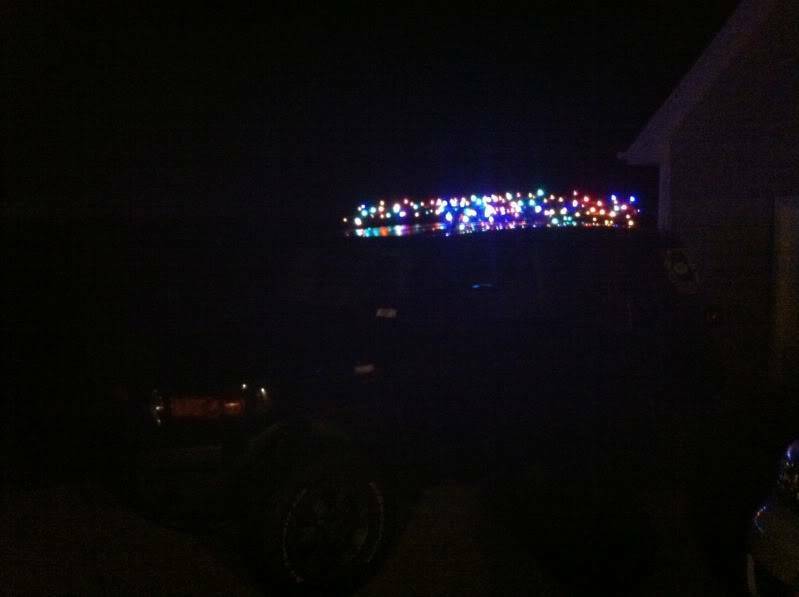 I was putting up lights and decided to spend a little time modding the FJ. Absolutely necessary! So I did the Christmas Mod. Now try to tell me I paid too much and should have took the NSSE. Nice!...but a huge faux paux putting up lights before Thanksgiving where I come from! I am with you Paul, but I had time to kill while I was smoking the turkey. I won't turn them on (other than to test) until December. Mine usually looks the same, but not till after Thanksgiving. 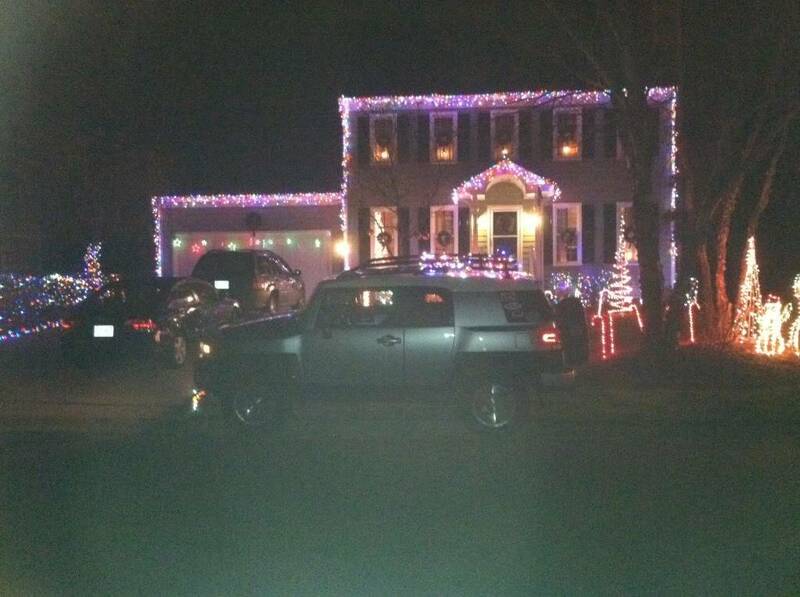 I blew a power inverter in my last truck putting lights on it. Was well worth it. Must have been some serious lights! figured totald, would make a "smoking a turkey' comment. Man I am getting busted on in 2 different threads. You guys are rough. I'm thinking of putting antlers on the doors, a red nose on the grill and maybe a wreath on the spare tire. I will be following shortly with my lights, antlers and nose from last year. Am I correct that these are simple Christmas lights plugged into the rear outlet. Then toggled on and off at the switch? Mine are. I am using two 16' strands of mini LEDs running at about 1watt total. Hopefully it will be overcast this Saturday and I can light up the uwharrie trails with Christmas spirit. 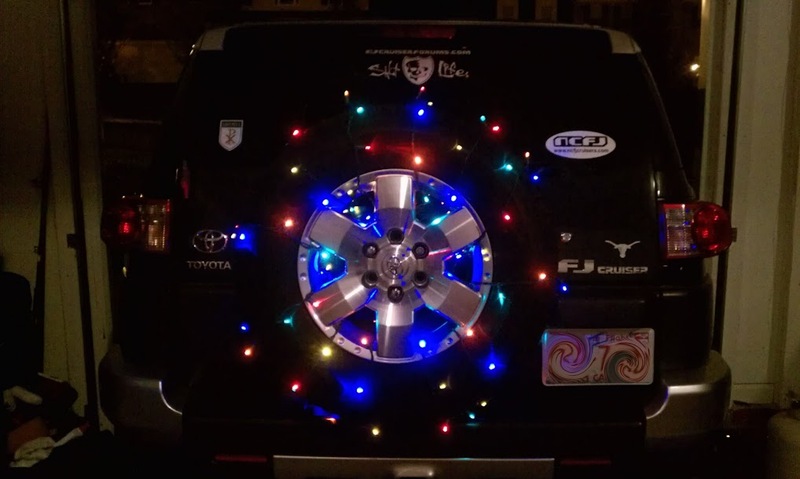 Sweet tire lights. I still have my tire cover on so that wont be me. Both rigs look very festive!!! Good job guys!!! Goes with the silver well. I was slacking but am going to do mine right now. That is a lot of lights. Sorry it took so long. 4 16' led strands. 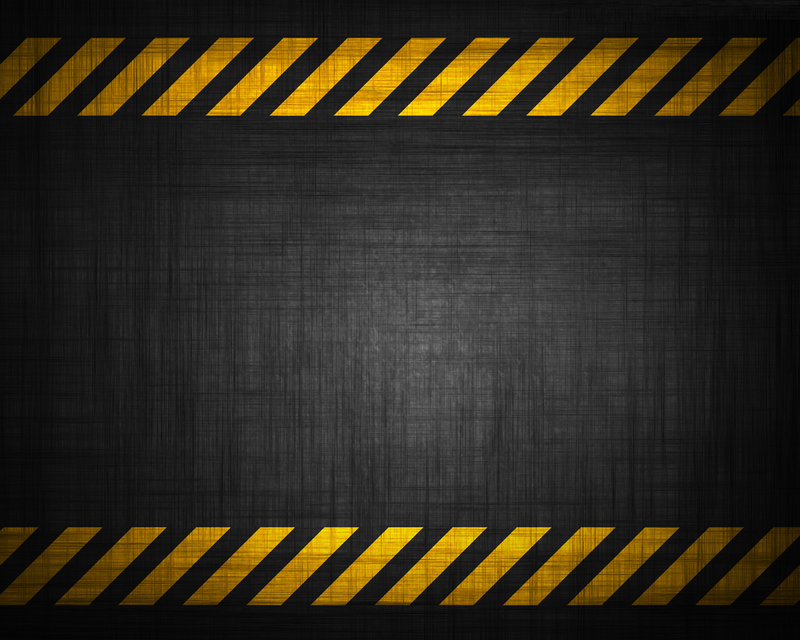 After seeing some of these pics I might have to ad more. 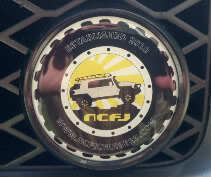 NCFJ Cruisers :: NCFJ Gallery :: "My FJ"